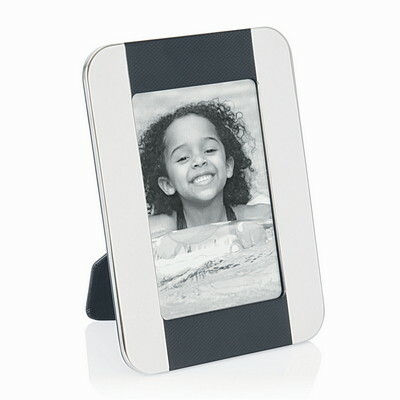 Limited desk space is never a problem with this compact and portable photo frame, allowing those favourite photos, and your logo, to travel and promote everywhere. Colours: Black, Chrome. Material: Metal=Chrome. Decoration Method: Pad Print, Engrave. Decoration Area: Print / Engrave: 55 x 10mm (top/bottom). Packaging: Gift Box.